We don’t want to set the world on fire, we just want to start a flame in your heart. Sadly, there’s nothing we can do about the imminent end of human civilisation. 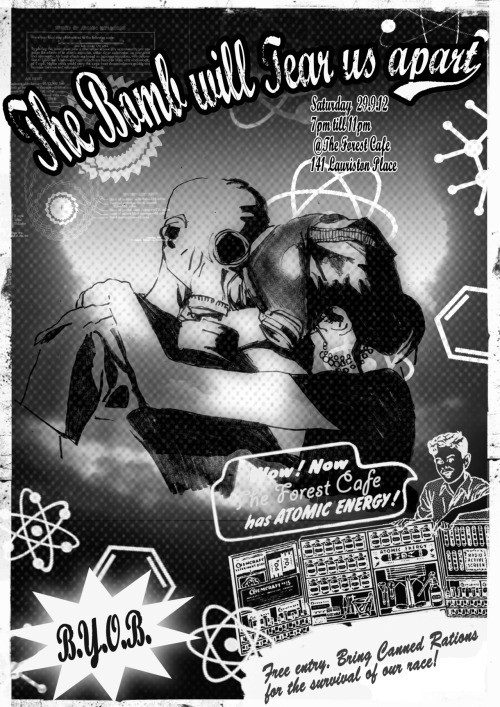 So join us as we learn to stop worrying and love the bomb with an evening of Cold War and Hot Beats. It’s the last party you’ll ever attend - until the next one! Entry free before 9pm with a portion of tinned food (soup and beans preferred). Plus special guests and games including 5minute Warning Love and interactive exhibits. !! !Evening contains strobe, smoke and radioactive effects!! !